Hi all! I got back from Pittsburgh on Sunday evening and between computer issues and work stress I have not posted. So do allow me to present you with just one photo. A beautiful photo. A photo of one of the most beautiful things I have ever seen, smelled and tasted. 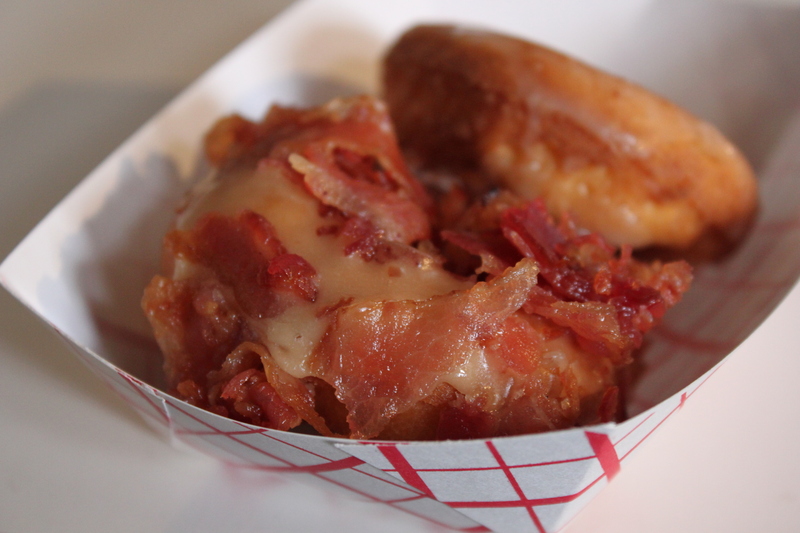 Yes, this is a photo of a maple glazed doughnut topped with bacon. And it tasted even better than it looks. I will post some about my latest jaunt the Steel City later but for now, for my serenity and your a la mode pleasure, I present to you the “Maple Bacon Donut” from Peace, Love and Little Donuts located in Pittsburgh’s Strip District. Isn’t it beautiful? So this is my second trip to Jenn’s so you know you are next on my list! And if anything gives this a run for its money is the pistachio macaroon at Mike’s Pastry!